The 2018 Watty Award winners will be announced on Friday, October 5th! We can hardly wait to share these stories with the world! Thank you for sharing your Wattys 2018 stories and making this season our best yet. The Wattys are officially closed. The Watty Awards are Wattpad's global celebration of storytelling. Since launching in 2010, the Wattys have discovered and recognized thousands of writers, across all categories and sub-genres from all over the world. 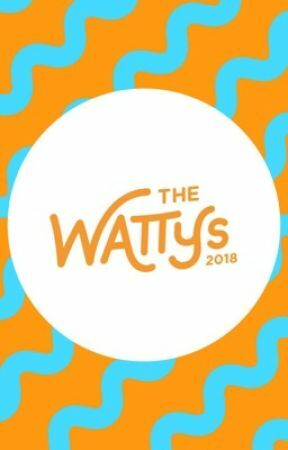 Watch this page for news & updates on everything Wattys 2018! Don't see your language here? While The Watty Awards are committed to celebrating the best in storytelling around the globe, our goal is also to create the best awards experience possible. This means we're not able to be in every country. We are hard at work to expand our reach for future editions of The Wattys to showcase as many amazing stories as we can. No purchase or payment of any kind is necessary to enter or win. Wattpad reserves the right to change any rules regarding the Wattys  #Wattys2018), including cut-off dates, eligibility, awards, finalists/winners or prizes. However, we'll do our best to notify everyone of any changes being made via this profile. For the most up-to-date information, keep checking this page. For more details on the contest, visit the Frequently Asked Questions chapter of our Wattpad Story.